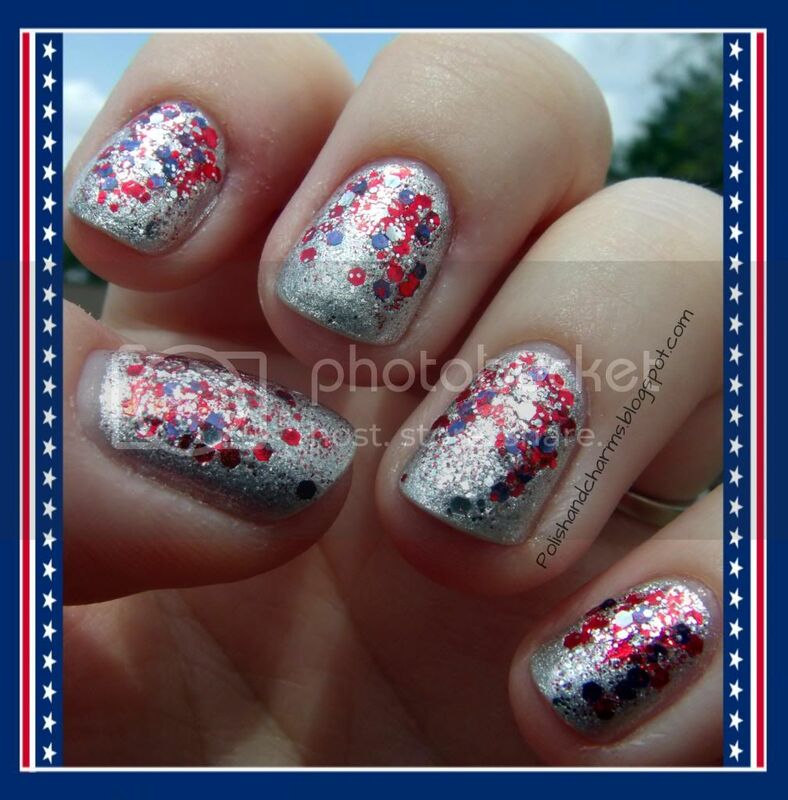 Polish and Charms: Twinsie Tuesday: 4th of July! Twinsie Tuesday: 4th of July! Hello! It's that time of the week again! 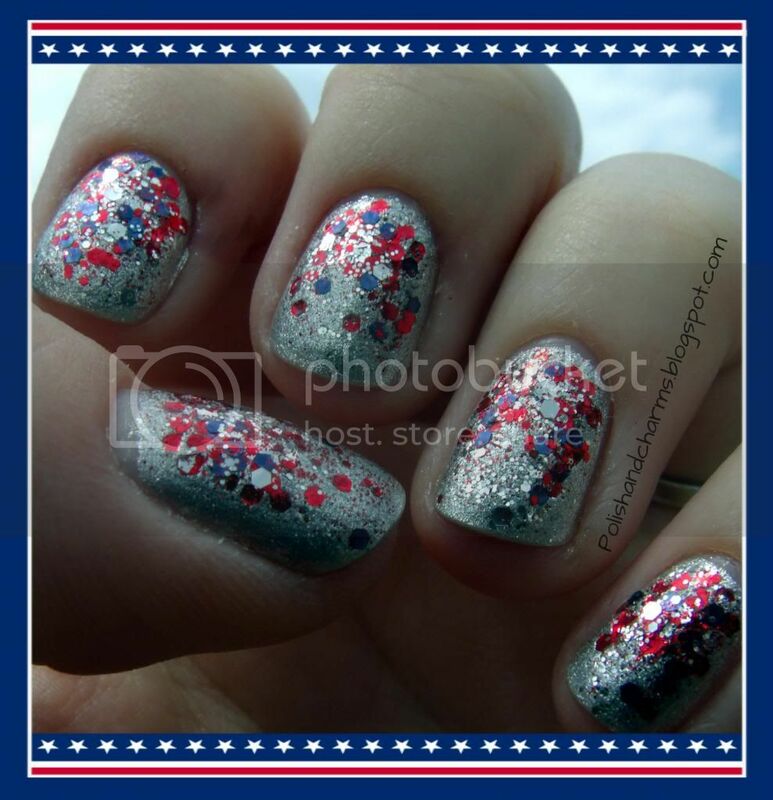 This week's theme is 4th of July! For those celebrating be safe and have fun!!! On to the mani! I used NYC Tribeca Silver as my base and then sponged on Milani Red Jewel FX, then a little bit of Pure Ice Freedom, and one last little layer of LA Colors Sparkling Diamonds. I thought it turned out really fun, but I don't think my pictures do it justice! Enjoy! Don't forget to check out what the other ladies have come up with for today! I love to wear glitter like this, it looks SO pretty! I think I tried this 3 different ways before it came out right! That glitter is just great! This is awesome! Love the glitter!! These are really cute! They are so festive!